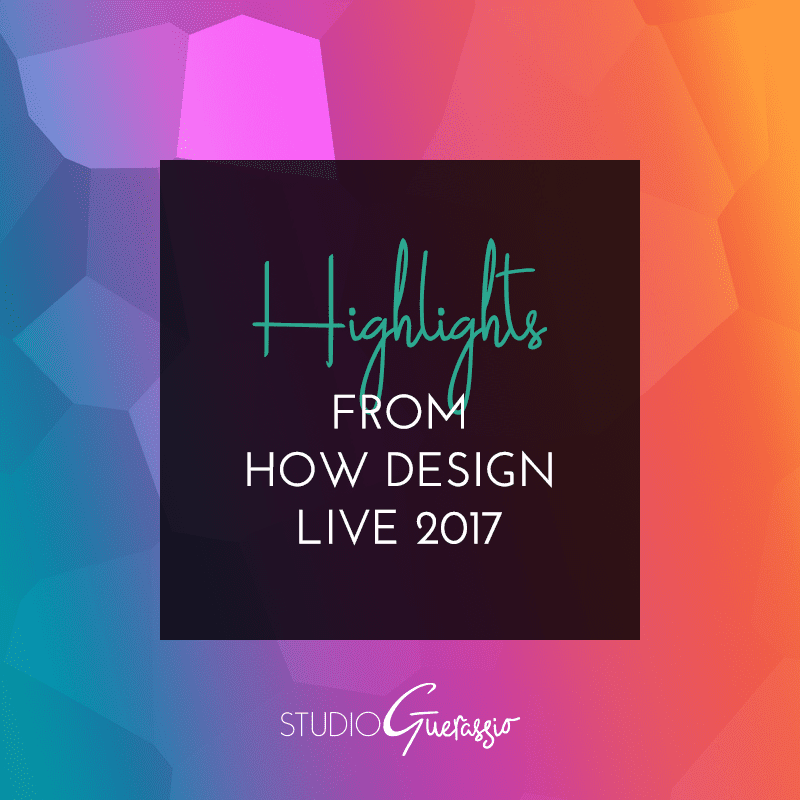 I spent last week in Chicago, attending the amazing HOW Design Live conference for the first time ever. It was a jam-packed week full of seminars, keynotes, exhibitors, and more. I’ll probably need at least another week to properly process everything. But in going through my notes, I realized there were quite a few speakers who distilled their ideas down into very quotable bits. And I wanted to share some of those here today. There’s wise words, words to make you think or chuckle, and a good overview of a lot of the topics covered at this year’s conference. – Brian Collins. I always thought the idea of minimal viable product was a really low bar. I’m not sure ‘love’ is necessarily the prescriptive solution, but it’s a move in the right direction at the least. – Timothy Goodman on his adopted slogan. I wasn’t super familiar with his work before, but seeing some of his series on Instagram has gotten a few ideas cooking for me. – Sam Harrison on being weird. His advice: do so many uncommon and unusual things that you surpass weird and enter genius territory. I can get behind this. – David Turner on the importance of a codified and scalable visual identity system. If the rules are clear, it actually frees you up to think creatively within them. – Stefan Mumaw on creative villainy and circumventing the rules. – Natasha Jen on why a single way of thinking or single process is not the panacea of design. Design is messy and complex, and one approach is never going to be good for every possible problem and project. Amen to this. – Valerie Aurilio on the eternal truths of design: empathy and storytelling. – Indra Kupferschmid on how no project is strictly one or the other. – Jim Krause on how distilling color down to its basic parts makes finding that perfect shade easier. – Kelli Anderson, regarding her project of printing and distributing a fake New York Times edition that painted the world as a better place than it is. She is up to some cool stuff, definitely check her out. – Malcolm Gladwell speaking directly to every designer’s soul, even though he’s not a designer himself. Everyone should check out his podcast: Revisionist History. I could listen to this guy talk for hours. Not because he has a particular melty voice (he’s no Benedict Cumberbatch), but just because he’s so interesting. Yeah, we had an impressive lineup of speakers and presenters. I hope you enjoyed some of these tidbits and maybe clicked thru to connect with some of these creative minds. Do you have a favorite quote from above? If you also attended HOW, what’s a great quote that I missed?